Colombo, Sri Lanka | AFP | Saturday 5/6/2017 – A US equity firm that bid to buy a stake in Sri Lanka’s loss-making national airline has pulled its offer, officials said Saturday as the carrier scrambled for a new partner. TPG, a San Francisco-based private equity firm, has withdrawn its bid for a 49 percent stake in SriLankan, dashing hopes of a quick revival of the airline. 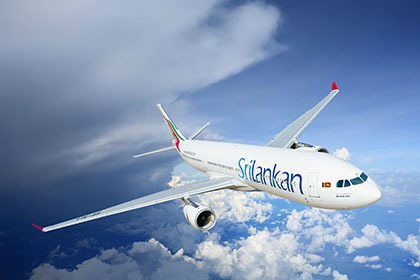 “After completing the due diligence, regrettably TPG have informed us they will not pursue a potential investment in SriLankan Airlines,” SriLankan Chairman Ajith Dias said in a memo to his staff. “It is their opinion that allocating the human and financial resources to make the airline profitable will not realise sufficient returns compared to the many other investment opportunities that are available to them,” Dias said. There was no immediate comment from TPG. Sri Lanka’s flag carrier has accumulated debts and losses of over US$ 2 billion. Talks are now underway with Dubai’s Emirates, which had managed and owned a minority stake in SriLankan for a decade, and was interested in a new management deal, official sources said. There was no immediate comment from Emirates. SriLankan was profitable before Mahinda Rajapaksa cancelled a management agreement with Emirates in 2008 following a personal dispute. An angry Rajapaksa removed the Emirates-appointed CEO of SriLankan from the post and replaced him with his own brother-in-law, who had no airline experience and is now under investigation for corruption. Late last year, in an effort to cut costs, SriLankan cancelled the previous government’s order to lease four brand-new Airbus A350-900 long-haul aircraft after paying a penalty of US$ 115 million to aircraft leasing giant AerCap. A separate order for four Airbus A350-900 planes will also be cancelled, the government has said. Rajapaksa had ordered all eight planes as part of a US$ 2.3-billion re-fleeting programme for the airline, which is now being investigated for corruption.